Yeah, probably not. Feminist blogs and magazines (including this column by Jessica Valenti) have extensively covered reaction to the imagined absence of a need for feminism in 2014 as seen in the very upsetting tumblr Women Against Feminism and other anti-feminist or “post-feminist” proclamations. I expect that anyone reading this is well aware of my implied conviction in the need for feminism, as I’m undertaking a Master’s degree in gender studies, write a feminist blog and for a feminist online magazine, and, more importantly still, attempt to be a feminist activist in my daily life. Still, with so much attention lately on the problem of not only men’s rights activists, but fellow female-identified people disputing feminism as valid or useful or good, I thought now might be a good opportunity to explicitly decry those sentiments. 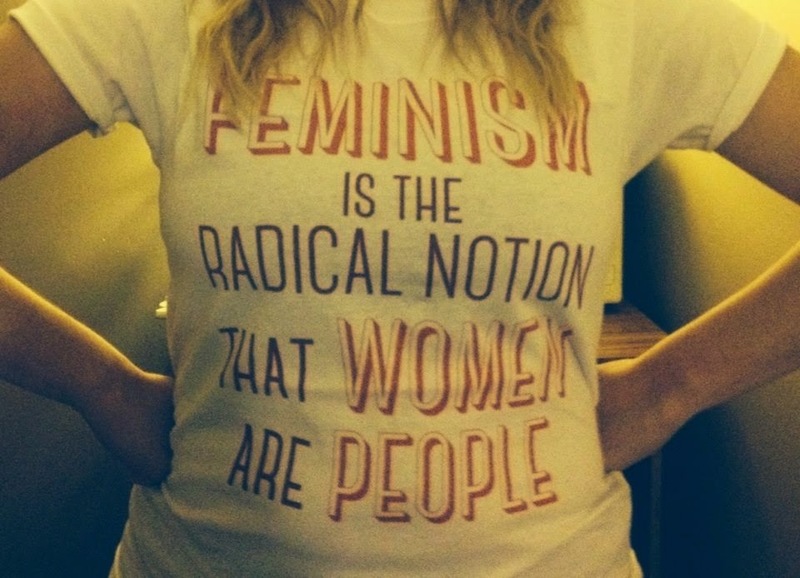 You all need feminism, even if you don’t realize it. As a point of entry, I’ll respond to a few “against feminism” sentiments I’ve come across online. BENEVOLENT SEXISM ALERT. OK, so feeling loved and revered is great but does he treat you like a person? I, as a woman person, like to feel loved and treated well by my male partner, but his respect of my personhood is much more important to me. Another poster on this tumblr said she doesn’t need feminism because she likes to treated like a lady by a gentleman. 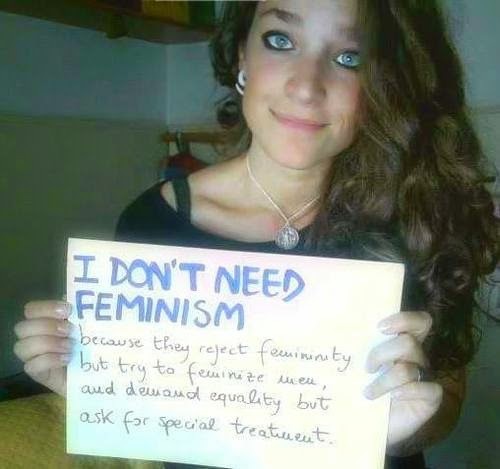 Yes, and feminism will strip you of your coveted ladyhood! And who cares about all those other women who are abused, raped, and murdered. BAHA! Trends don’t span centuries, continents, and cultures. Feminism doesn’t hibernate and then flare up a decade later like bellbottom jeans. Yeeeeeah that would be feminism. Equality is kinda the whole point. And yet eons of patriarchy has often reduced you to your body and perceived biological difference and completely erased any interest in your deeds! And the work of feminists and women’s rights advocates has made it possible for you to work outside the home at all! Not to mention vote and be a citizen. I can’t even. Ok, if I must: There is no correlation between feminism and rejecting femininity. Feminism isn’t about whether or not to wear pink and like flowers (which is, in itself, an asinine reading of what it means to be “feminine”). There is not one way to be feminine and redefining and challenging notions of how femininity and masculinity are constructed and reinforced is part of the point of feminism. Recognizing the rights of and valuing the needs of oppressed groups is not the same as special treatment. Groups and persons that have been historically and systemically denied rights (because of the privileges of non-oppressed groups and persons) deserve to have their needs addressed. Taking action to address gender stratification and make up for the unnatural (socially constituted) subjugation of women isn’t special treatment…ya fool. I could go on but there are hundreds of these and it’s a bit painful. My main point is that many women, whether it be a celebrity who denies she’s a feminist or a woman who submits to such a tumblr, don’t seem to be making the connection between their perceived rights, freedoms, and lived experiences and the work that feminism has done. As women, we’ll never know what our lives would be like in an alternate universe had history proceeded similarly but had what we now know as “feminism” never arisen, never taken root, never had an impact. It is ignorant and naive that these women – the very persons that feminism aims to make recognized as equal persons deserving of respect and dignity – are so unaware of what feminism means and how it has served them. This isn’t my way of saying “feminism helped you, be grateful” – it’s not a debt repayment thing. Although, I do often feel quite privileged to have been born into this era of life on planet Earth as opposed to others. 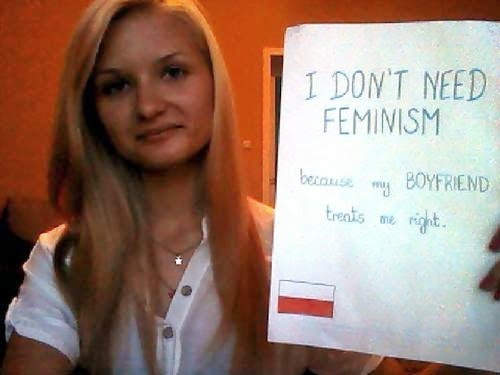 Unlike men’s rights activism and the like, women against feminism disturb me on a deeper level. I’m used to (some) men being completely unable to recognize that feminism is not about, in and of itself, being divisive and pushing men down so we can “rise up” (and take over!) That’s utterly foolish. Still, I want to make a call to action to my fellow female identified persons and feminists to stop being afraid of being perceived as radical. For years, my own feminism as an ideology was passionate but diplomatic to a flaw, so concerned about avoiding alienating others that I avoided confrontation, kept some criticisms to myself, and silently mused condescending critiques of the sexists I encountered but avoided engaging with. I can’t truthfully say I always speak my mind today (that would be a constant and unrelenting diatribe!) or that I don’t, almost daily, let something slide because I’ve decided it’s not worth my personal discomfort. Still, daily, although I live a life that enjoys several locations of unearned privilege, I recognize the faint odors of sexism, misogyny, and patriarchy around me. Now, to conclude, I’m sending a big virtual bouquet to the local women with the St. John’s Status of Women Council who made their own, excellent tumblr about why they need feminism. Women are already people! Also if feminism is about equality name one GOOD thing it did for men, If you can't then WAF has the right to speak against modern feminism, which is still working it's way into suppressing men.